Not Too Late to Make Film Tour in Austin Tonight! Finally back to home base after a quick run to Austin yesterday, and turnaround and back today. 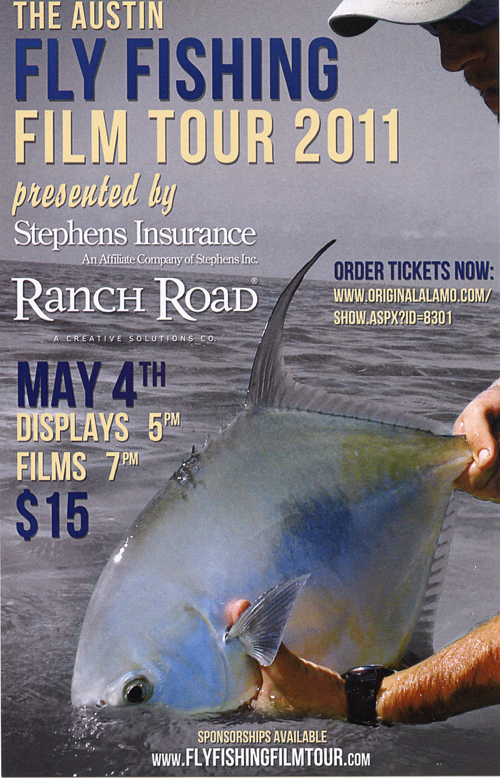 Needless to say, if you are not near the fly fishing mecca of Austin, Texas, then you may not even know that the Fly Fishing Film Tour 2011 is there tonight – right now actually. So if your favorite Texas Hill Country river fishing hole is drying up (and they all are), saddle up and head out to the show.